The incident happened at the Edenmore Shopping Centre in Coolock at around 12.22am. TWO MEN HAVE been taken to hospital with injuries following a shooting incident at a food takeaway premises in Dublin overnight. A lone male entered the premises armed with what is described as a handgun, demanded cash and then discharged a number of shots. Two male staff members (aged 28 and 38) received gunshot wounds. They were both removed to Beaumont Hospital where they are receiving treatment for their injuries, which are not believed to be life-threatening. In the follow-up operation, two men (aged 16 and 44) were arrested in connection with the investigation. They are detained at Coolock and Raheny Garda Stations under the provisions of Section 30 – Offences Against the State Act 1939. 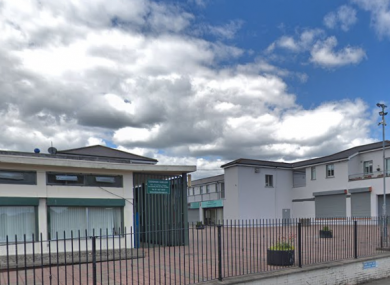 Investigating gardaí are appealing for witnesses or any person with information to contact the incident room at Coolock Garda Station on 01 666 4200, the Garda Confidential Line on 1800 666 111 or any garda station. Email “Two men injured in overnight shooting at Dublin takeaway premises”. Feedback on “Two men injured in overnight shooting at Dublin takeaway premises”.